Who we are « G.R.M.G. Between us we hope we have the enthusiasm, skills and contacts to get this group off the ground – but of course to make it work we need you. Our ambitions include having a “species leader” for each species, encouraging more people to get out and find raptor nests, and using technology to track birds as well as produce reports. We hope that a systematic approach to monitoring will increase our collective knowledge of this special group of birds and increase awareness of the need to protect them. One of the lessons we learned from the breeding Peregrine survey in 2014 was that when the information sent in by individuals is pooled, we can get a really informative overall picture. Richard Baatsen is the county bird recorder for Gloucestershire, responsible for receiving, collating and verifying all bird records for the county. The role also involves liaising with the relevant national bodies about records of rarities or rare breeding birds. Richard is an environmental biologist who describes himself as ‘a birder who twitches’; in fact he has one of the longest UK bird lists around. He just loves receiving full, accurate bird records! Andrew Bluett is the ‘patch’ coordinator for GRMG. He is also the Kestrel and Little Owl species leader within the group, with a keen interest in investigating the reason(s) behind their decline within the county. 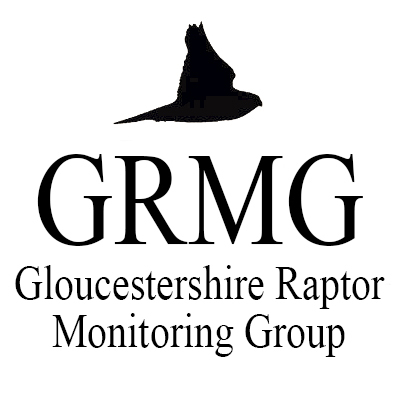 Andrew is also the Membership Secretary for the Gloucestershire Naturalists’ Society, and facilitates a valuable link between the Society and GRMG. Tim Bray is our tree-climber and cliff access person. He has been climbing trees, cliffs and mountains throughout the Uk and abroad since he was a teenager. He has a passion for the natural world and nature conservation and is looking forward to bringing his climbing skills to assist the team in the ringing programme. Anna Field is another wildlife and bird enthusiast with a BTO ringing licence. In the last couple of years she has been mapping and monitoring raptor nests in the east of the county and is particularly interested in the distribution of raptors in the landscape. She has a scientific background and is always looking to maximise the value of the data we collect and find ways to work with landowners to improve habitats for birds. Rich Harris has a life long interest in the conservation of Birds of Prey. Richard’s main areas of involvement include contact with and education of farmers/landowners, monitoring/recording, delivering talks to the public, fundraising and rallying volunteers to box building workshops. Rob Husbands is a lifelong birder and nest-finder, and has many years experience as a ringer. He holds a BTO Schedule 1 licence for raptors, including Goshawk, Hobby and Red Kite, and as a tree-climber he visits as many nests as he can each season. He has extensive experience of fieldcraft and nesting behaviour, and as well as raptors he takes a particular interest in Forest of Dean specialities. Gareth Jones has been interested in raptors since he was a young boy. His earliest childhood memories are always linked to birds of prey but his most favourite bird is the Peregrine Falcon. Gareth’s day job is IT & Security and he uses this knowledge for his remote camera set-ups to observe all forms of wildlife. Gareth’s role in GRMG is to focus on persecution and wildlife crime issues, liaising with the relevant authorities. Gordon Kirk is the voluntary regional representative for the British Trust for Ornithology in Gloucestershire, and as such he chairs the Gloucestershire Ornithological Co-ordinating Committee, which brings together people from all the bird clubs and other wildlife organisations in the county. He was the county organiser for the recent BTO national bird atlas and is the co-author (with John Phillips) of “The Birds of Gloucestershire”, published in 2013.
follow the BTO in Gloucestershire on twitter. Ben Locke is a wildlife photographer with a broad interest in all British fauna, not least in the Forest of Dean where he lives. Ben is responsible for this website, and the collation, archival and safe-keeping of records submitted to GRMG & GBOMP. Helen Macdonald is GRMG’s honorary President, and the author of the critically acclaimed memoir ‘H Is For Hawk‘, which follows her previous book ‘Falcon‘. It details the story of how she came to acquire and train Mabel, a goshawk, after being overwhelmed by sadness following the sudden death of her father in 2007. The book has been widely accoladed and has now won the prestigious Samuel Johnson Prize for Non-Fiction and the Costa Book of the Year. Nat Roberts is a Geographer by trade and C permit ringer with an interest in all raptors and their habitat. Nat is particularly interested in falcons and hawks and hopes to uncover more about their diet and behaviour. Nat is also our ideas person – it was her idea to form the group back in 2014!